Apologies for what is clearly a n00b problem. Just like user k_bergeron, I’ve set up countless Raspberry Pis by simply burning a image to an SD and plugging them in. I’ve got ~8-10 in my house running node.js and python doing everything from my garage door to temp sensors on my plants but I Cannot get this Banana Pi to boot. I’ve been through this http://wiki.banana-pi.org/Getting_Started_with_BPI-W2 for months now and had no success. The document seems to imply a lot more knowledge than a new Banana Pi user has. Do I really need to connect a debug cable? do I really need to mess with the eMMc? Cant it just boot from an SD card? Where am I putting the u-boot.bin? is it just copied or is there an image to burn? Is there no way to do it without tftp from another linux box? Can anyone out there Please give me a simple step by step to get a BPI-W2 v1.1 up and running on Raspbian (or really any linux distro)? 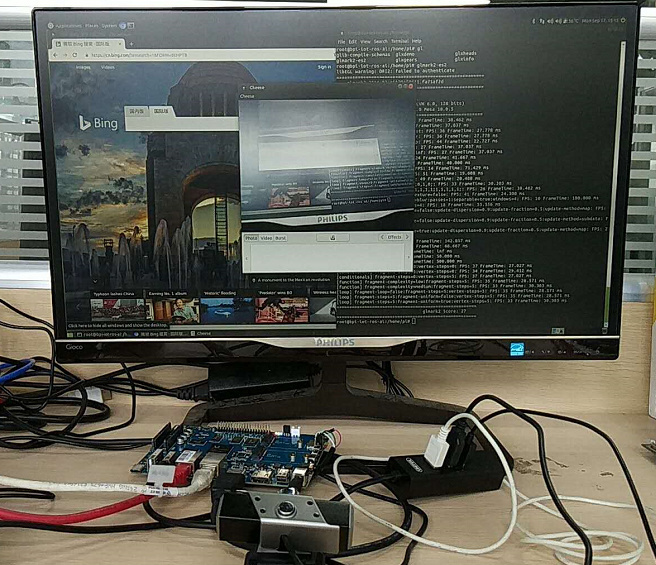 I’ve taken a 64GB SD card and, using Win32 DiskImager, burned 2018-09-17-raspbian-stretch-demo-bpi-w2-sd-emmc.img to it from the link provided. I’ve created a second partition of ~100MB and copied bluecore.audio, bpi-w2.dtb and uImage to it. Set the dip switch to both possible positions and after power up there is nothing apart from lights showing it has power. The Getting started doc is confusing unless, seemingly, you’ve already set up a Banana. Honestly I’m sorry to have to post this. I hate having to ask for help but I’ve got no hair left to tear out. 100 mb partition and manually moving bluecore and stuff was not needed when you burned complete image. I have not tried rasbian (running Ubuntu on my box) but image is whole package. Guide you saw on wiki was meant for older Ubuntu build - there was no image ready at first - you needed to partition and fill data on SD yourself. If that won’t work - there would be additional step required: update SPI rom (via usb-c cable, Windows machine as in guide on this forum) Usb-c serves as power in as well - board will boot pulling power from your computer. Thanks Kamil. Reburned the image on the SD, plugged it in…to no avail. Now I’ve gone through the first stages of updating the SPI rom via usb-c but of course now i’m into homemade debug cables, Putty etc. and so far the board isnt talking. ROM updated fine though via usb. Appreciate the help. The BPI is a black box and isnt giving any hints around why it wont answer over the debug. I’ll keep plugging away. When you mentioned homemade debug cable - I hope you are using USB -> UART bridge here, not just plain cables. I got one like this http://store.extremeelectronics.co.in/PL2303-Based-USB-to-UART-Bridge.html - not bought from this exact store, just googled for model. GND / RX / TX plugged to 3 pin UART between SD slot and power button. Mine just worked - hard for me to tell what might be wrong on your side. “Home made” just from the Banana’s header to the rs232 end of the USB-to-serial UART cable. The USB was detected as COM3 and from what I read I should be using 115200bps 8/N/1. Correct? Should the board be plugged into my pc usb port or just power? (I dont know if it matters but thought I’d ask. I’ve tried both). There is no feedback from the board about state; which is aggravating. No flashing light saying what condition it’s in. just solid red, green and blue. Does the board Always dump info out the Debug header or only when it is in a certain state? Meaning do I need to power it up in a particular way to connect? Right now, the DIP is in position 0, USB-C is plugged in to the wall for power, debug and USB cable connected, Putty open and listening on COM3 at 115200…and nothing but solid lights. Inscrutable. Thanks and I really appreciate the time. Strange. For me it stars pushing strings to uart as soon as you plug power in. RGB LEDs are all lit on my board as well. i’ve hooked up the oscilloscope to the debug header on the board and I dont think I’m seeing anything. I’m going to grab the same (or close to) UART board you’ve been using, set things up exactly as you’ve had it and see where it goes from there. Who knows. Thanks again. alright. It speaks. rebuilt my cable and swapped my uart cable for the device you used and viola. it speaks. so, with some hope I ask…what now? What do I need to do to this thing to make it boot from the SD card now? I feel so close I can taste it. If your board startup log print “SPI ROM:20180907”, then you don’t need to update spi rom. So, the image is burned properly but no boot. Now I’m in debug but no idea what to look for. Any ideas? I’ve created a second partition of ~100MB and copied bluecore.audio, bpi-w2.dtb and uImage to it. This is your mistake. Just burn the image and unplug it from your laptop. the image is complete, like for raspberry. Hello, which image did you download? what is the version of spi rom in your log? Did you switch SW4 to 1? I’ve had troubles too with flashing the SPI and booting from SD card. I had to read a lot in the forum and the Word documents provided with the zipped tools linked in the *nix-images threads. The wiki page was more puzzling than helpful. So this is my step-by-step guide for everyone just trying to understand what needs to be done.